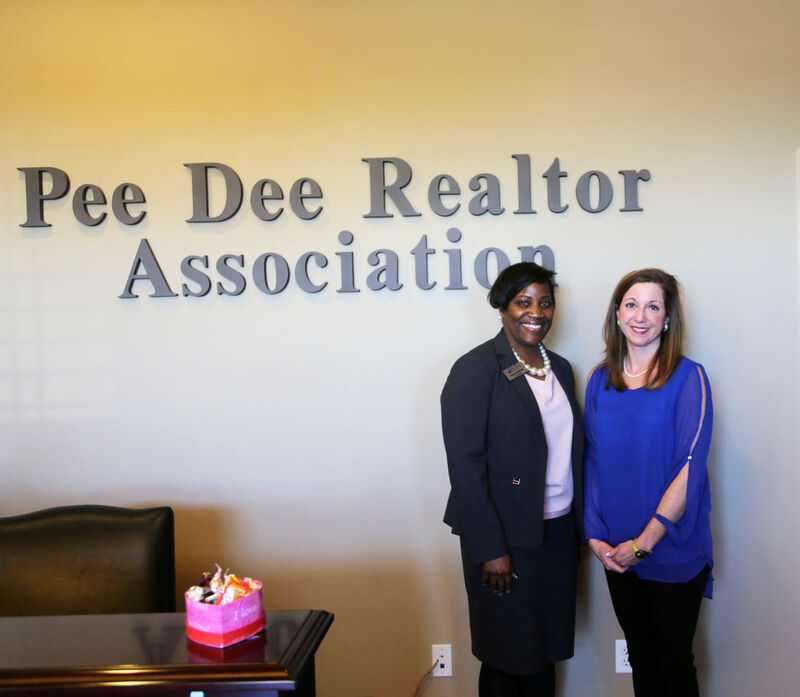 The Pee Dee REALTOR® Association launched Forewarn this summer to arm its members with criminal and financial background information. Florence ranks among the top for jobs in the U.S.
USA TODAY has Florence at No. 7 on its list of U.S. cities with the top job markets for 2018. The rankings are based on local wage increases, unemployment decreases and jobless rates. The list shows Florence with 84,850 people employed, a jobless rate of 3.2 percent and an annual average wage of $41,010. "Florence is a growing community. Not only is it growing, it's growing good jobs, paying jobs," Mayor Stephen Wukela said. Wukela said while the city's infrastructure reels the companies in, it's the growing livability that seals the deal. "Having an attractive downtown, having parks and recreational resources are the types of things that help land those jobs,” Wukela said. "I think that's what the U.S. is starting to see, that this is a good place not only to live, but it's a great place to raise a family," economic development chairman Frank Brand said. Aside from a better quality of life is a better quality of workers, which is something Brand said Florence does a great job at producing. "I think the workforce development through Francis Marion and Tech allows these different companies to get the people they need and to train them," Brand said. Not only are businesses flocking to Florence, but current businesses like McCall Farms and Ruiz Foods continue to invest in the area through expansions. "That's a testament to the fact that existing industries are happy,” Wukela said. “Them expanding paints a perfect picture that other industries are looking at." But most importantly, officials say they don't plan on slowing down anytime soon. "We all feel a very urgent need to continue that recruitment effort and build higher paying and better jobs for the people in our community," Wukela said. Charleston was the only other South Carolina city that made the top 10 list, coming in at No. 5. 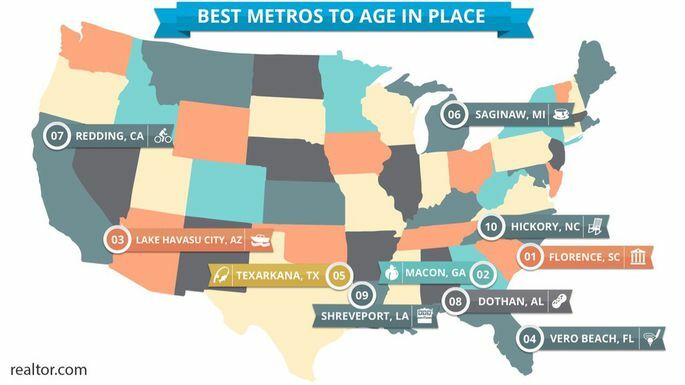 Did you know that Florence was named the Number One place to age by Realtor.com? The reasons why may surprise you. The math is inescapable: There are about 75 million baby boomers growing a little older every day. They're the largest generation ever to retire, whenever they get around to it. And following right behind are 65 million Gen-Xers, the oldest of whom are already well into their 50s. (Yikes!) They're all going to need places to live as they age. But where? Their children may not have the space, because their grandkids refuse to move out. (Damn millennials!) Housing prices are continuing to rise in desirable areas, making it difficult to downsize on a fixed income. And sending the boomers out on ice floes might seem like an attractive solution—until little Humbert asks where grandpa is going. The ice caps are melting anyway, so room may be limited. But boomers changed the world—and now they're changing the concept of getting older, too. They're popularizing the idea of "aging in place": buying homes for the long haul, and modifying them as time goes on, so they can continue to live independently for as long as possible. So-called "universal designs" allow such flexibility, and owners are adding bathroom rails, hands-free faucets, and downstairs den-into-bedroom conversions when they need them. And everyone, it seems, is on the prowl for places to live that can fit the bill from middle age all the way to the bitter end. Or darn close to it. Pee Dee real estate in 2017 trended upward, especially in Florence County, as progress and neighboring industries continued to grow in the area. Keon Aldrich, president of the Greater Pee Dee Realtor Association, said the market is getting better, but it has never been bad in Florence. The association helps link Realtors together, provides education and looks to support the community. Jennifer King, the chief executive officer of the association, said the entire Pee Dee area is continuing to grow in line with the bigger metropolitan areas in the state.